Here's what you should know about this multiplayer shooter on PS4, Xbox One, and PC. Anthem is a multiplayer action RPG/shooter scheduled to launch on PlayStation 4, Xbox One, and PC on February 22, 2019 (EA Access and Origin Access members will be able to play starting February 15). Here’s everything you need to know about Anthem, so you can decide whether it’s right for your family. Anthem takes players to a fantasy world threatened by a group called the Dominion, which wants to take control of a powerful object called the Anthem of Creation. Players will become a Freelancer, a javelin pilot challenged with protecting an important settlement called Fort Tarsis (which serves as the main hub of the in-game world), as well as stopping the Dominion from achieving its goals. In Anthem, players can complete story and side missions, enter strongholds, and explore the world at their leisure in a Freeplay mode. 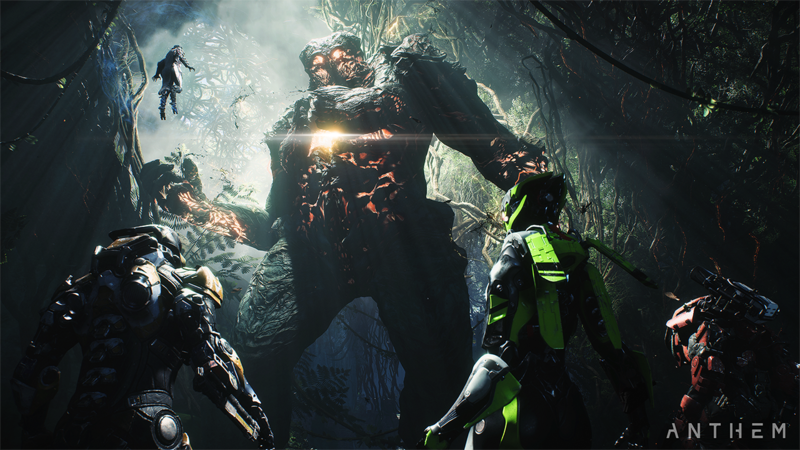 Anthem was built to be a cooperative experience, and it lets up to four real players team up to play together online. Players can partner with friends, or work with strangers. Each player wears a customizable javelin, a special suit that gives them powerful abilities, such as being able to fly or swim underwater. Players will have multiple javelins to choose from, each with different specialties (for instance, one may focus on defense, while another focuses on elemental attacks). These different suits (and customization options for each one) allow players to create a javelin that fits their play style, and which compliments the javelins chosen by their teammates (if they’re playing with others). As players progress, their Pilot Level will increase and they’ll be able to improve their javelins in different ways. Do players have to team up with others? Technically, no. 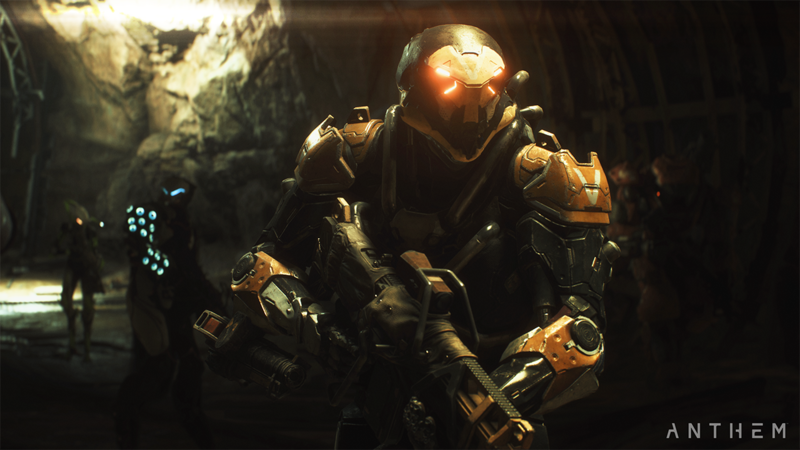 However, it’s worth repeating that Anthem was designed with multiplayer gameplay in mind, so solo players may find some of the game’s enemies to be difficult to defeat without help. That being said, players can choose from six difficulty levels in total: Easy, Normal, Hard, Grand Master, Grand Master 2, and Grand Master 3. The Grand Master options only become available once players reach Pilot Level 30, the game’s maximum level at launch. 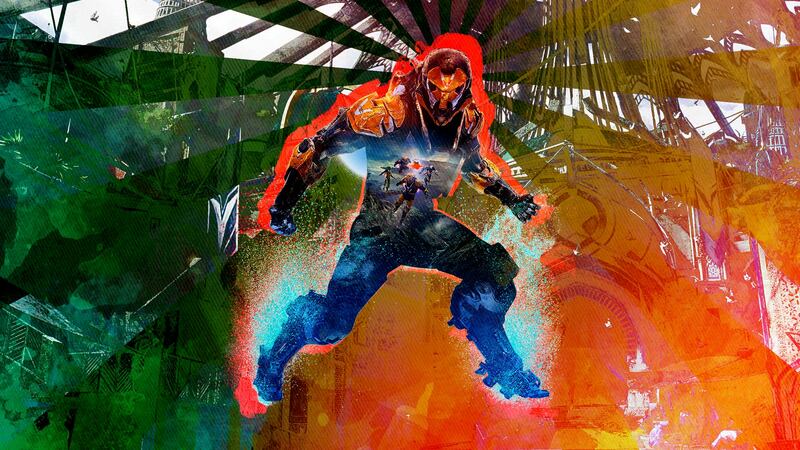 Anthem has been rated T for Teen by the ESRB, which means it contains content deemed inappropriate for players under 13. The game has content descriptors for “Alcohol Reference,” “Language,” “Mild Blood,” “Use of Tobacco,” and “Violence.” It will also contain optional in-game purchases. Here’s another thing to keep in mind: Anthem will support voice chat, which will allow players to work together to take out enemies. However, if your teens are playing with strangers, they may hear foul language and other unsavory speech from those around them. As a reminder, check out our guide for tips on how to keep your kids safe in online games. Finally, Anthem will be updated with new content even after the game launches on February 22. Major updates will be called “Acts.” Act 01: Echoes of Reality will be released in March, giving players more to do if they’ve already completed the game’s story by that point.